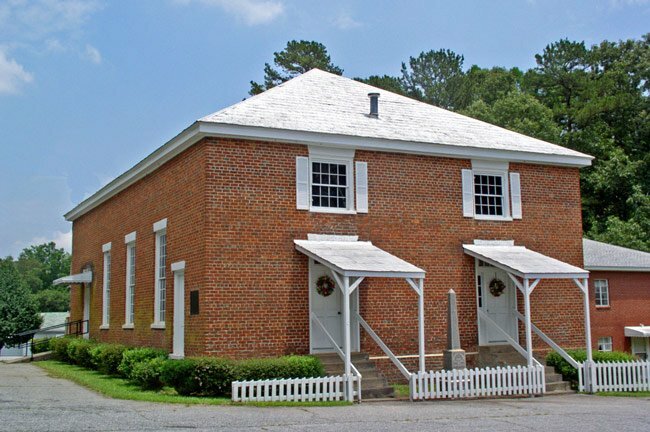 This congregation in Liberty is one of the oldest in the Piedmont. 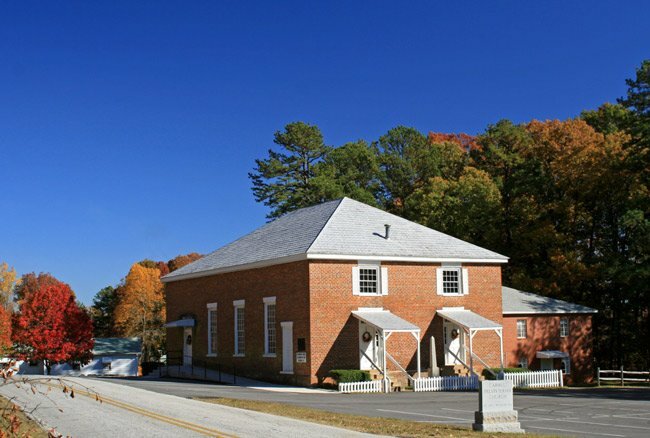 It was founded in 1785 in present-day Easley shortly after the signing of the Treaty of Hopewell, which defined land boundaries between Cherokee Indians and white settlers. Captain Robert Pickens, cousin of Revolutionary War hero General Andrew Pickens, settled at Twenty Three Mile Creek (also called Three and Twenty Mile Creek) that same year. Soon afterwards, he helped establish a Presbyterian congregation, called Richmond Church, on his property. By 1787, Richmond Church had merged with nearby Twenty Three Mile Church to form Carmel Church. Shortly afterwards, the newly combined congregation built a log structure where Pickens Chapel currently stands. Prior to the construction of the log building, the two groups likely met outdoors for worship services, as was common during that time. A sister congregation, Hopewell Church (now known as Old Stone Church), formed in 1789 at present-day Clemson. General Andrew Pickens was a founding member of Hopewell and is interred in the churchyard at Old Stone Church. Methodism spread quickly throughout the South in the late eighteenth century, with Bishop Francis Asbury of England riding the preaching circuits to recruit new members to his denomination. When Asbury preached to the Presbyterians at Carmel Church, many converted, including Captain Robert Pickens. The new Methodists left Carmel Church and built a separate church on Pickens’ land. The Presbyterians relocated to land in Liberty owned by Ezekiel Pilgrim around 1802, dismantling the log church and reassembling it on Pilgrim’s property. The simple structure was replaced first by a frame structure, and then by this brick one in 1856. The churchyard at Carmel Presbyterian Church was not plotted until 1845, as Pilgrim had stipulated that while the church was welcome on his land, no burial ground would be permitted as long as he and his heirs lived next door. Therefore, members of Carmel Presbyterian continued to use the cemetery at the original church site, as did the Methodists who had left Carmel Church. Several Revolutionary War veterans are interred within the cemetery at the first Carmel Church site, now known simply as Pickens Chapel. Pilgrim sold this parcel to the church in the 1820s. In 1845, once Pilgrim’s heirs no longer owned the neighboring land, the churchyard at Carmel Church was finally established. Thanks so much! I believe that my 4th great grandparents, John Prather Odell and wife Mary attended this church until about 1836 when John passed away. It’s great to learn a bit more!